Our thermofusion range consists of Gloss, Satin, Texture & Supermatt finishes with over 80 door profiles to choose from whilst our prices remain affordable with whichever choice you decide. Laser-Edged doors involve an innovative adhesive-free laser edging technology. This new, two layer edge-band, replaces commonly used edging solutions for all machine technologies currently on the market. 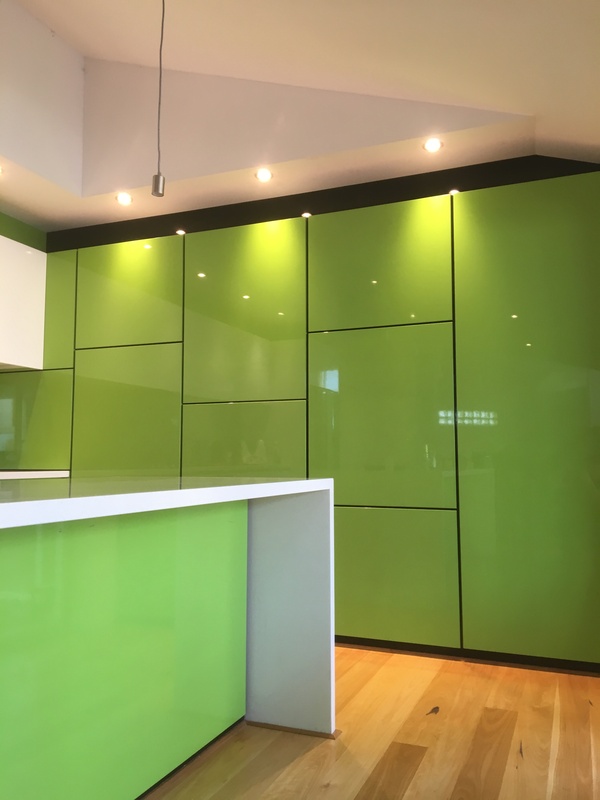 Acrylic provides a deep high gloss colour without ripples; making acrylic finishes a common choice of architects & interior designers alongside our vinyl range. With proper care our doors will keep their fresh looks for many years with no need to paint or varnish. Just follow our easy steps to ensure your doors remain clean and hygienic. We now provide cabinet carcass to the CABINET INDUSTRY ONLY. 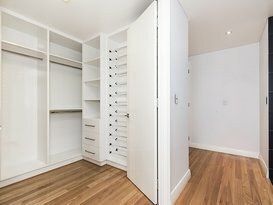 Saving time, money and man-power with all white 16mm cabinet carcass cut to any desired sizes with easy ‘puzzle’ like assembly. 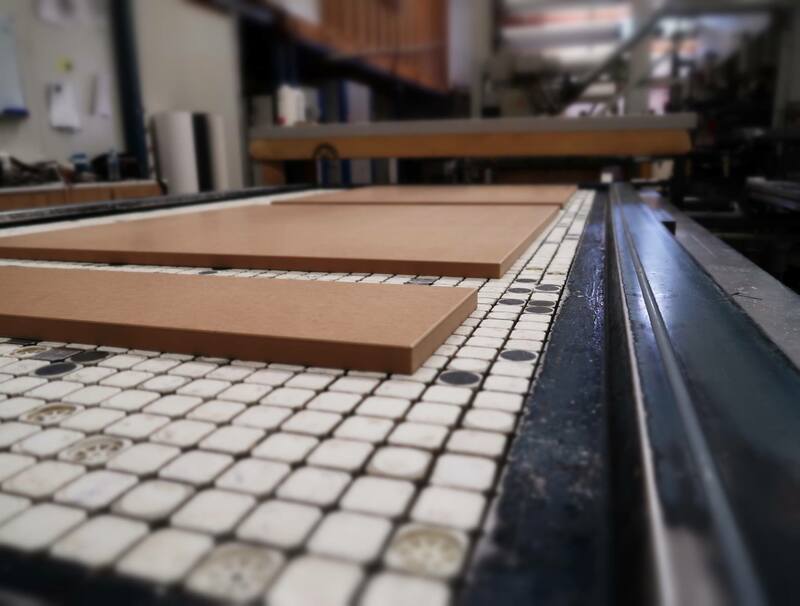 Modernforms’ doors & panels undergo a new-aged process; thermofusion. Taking a step above thermolamination, we attain a world-class gluing system exceeding all expectations of vinyl-wrap applications for over 18 years. 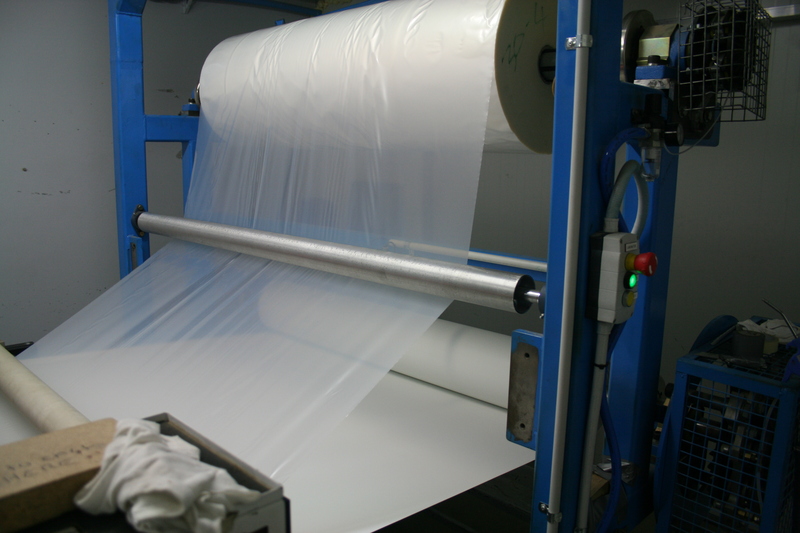 This process process eliminates the chances of peeling and swelling, and ensures your products are of high quality, durable and hygienic for years to come. Modernform Doors hold the first robotics system in Australia for CNC machining ensuring a quick turnaround. Whether your renovating or building a new home, we’re able to transform your home. Modernform Doors is wholly owned and operated in Western Australia and at the forefront for company growth & development. Come visit us today and see why we’re the market leaders in cabinetry applications. 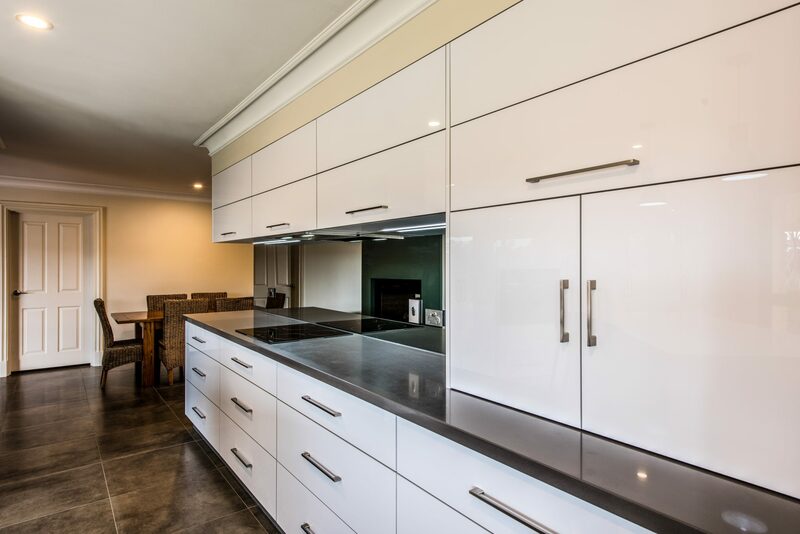 Modernform Doors has attained Western Australia’s first and only world-class gluing system which acts as an impervious membrane to the back of our PVC foil. Now exceeding the strength and longevity of paint & lacquer, Modernform hold no record of de-laminated products for over 15 years. This thermofusion process eliminates the increase of moisture within our MDF board which would usually cause fibre-swelling. Therefore our end product results in a much smoother, hygienic finish for years to come. 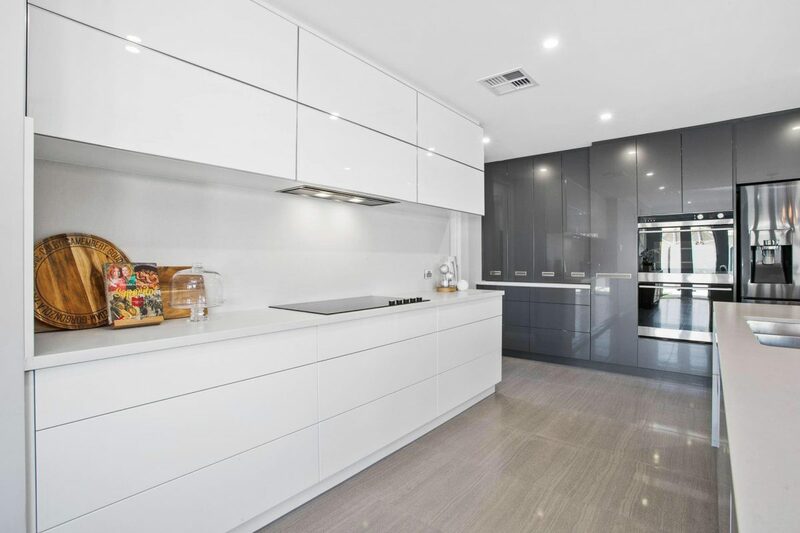 Modernform Doors is currently the only manufacturer of thermofusion doors in Australia since 2002. The process is undertaken in-house with full control. Our aim is to save industry production time and address health issues associated with current spray systems still used today. 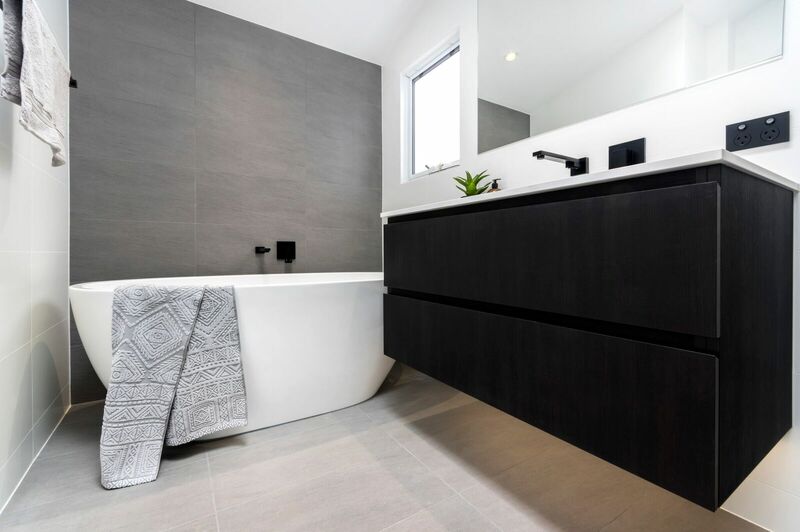 We’ve had vinyl wrap doors in our house for 16 years manufactured from Modernform Doors and the look and durability of the doors look like they were made yesterday! Thank you to the team at Modernform Doors, with special mention to Dom, for their friendly professional service. Diego is one of the best individuals to deal with at ModerForm Doors as with his experience our home has turned out to be the most stylish and comfortable place to be!